Your dog will sure love this chewy bone. Made of natural vegetable based ingredients and ricethese treats contains no chemical. Made with all-natural ingredients, the vegetable-based texture will help remove plaque and tartar as they chew. If gum and tooth decay is causing a problem for your adult dog or you feel that your dog too needs to maintain a healthy oral care regime just like youWhimzees are the best and the most appealing dental treats for your dogs. 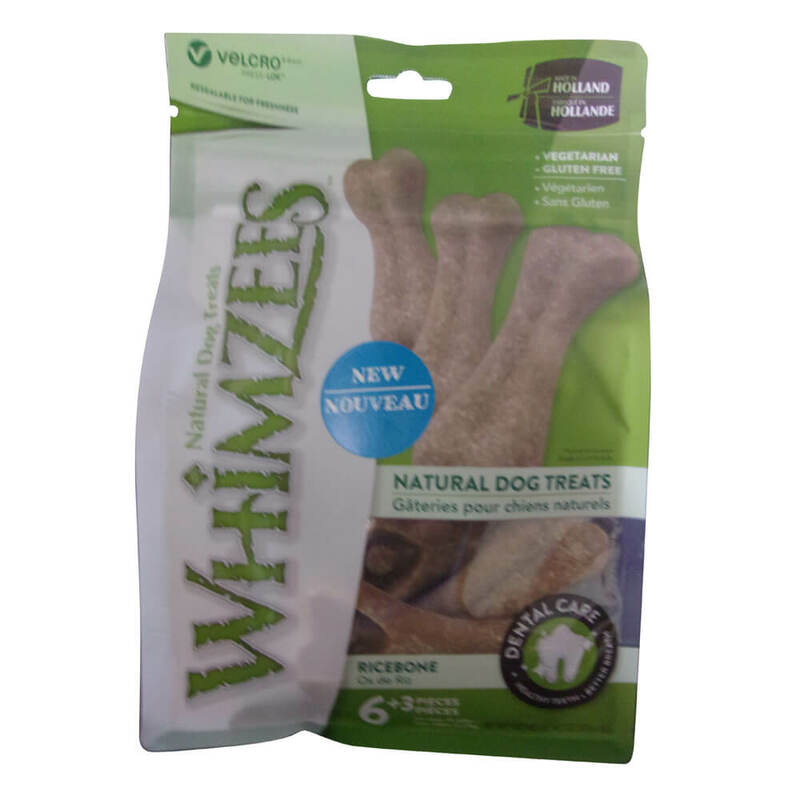 Whimzees Ricebone is an all-natural doggie dental chew, containing natural ingredients and are high in fiber and low in calories and sugars. This chew is intended for intermittent or supplemental feeding only. Rice (50%), Potato starch, glycerin, powdered cellulose, lecithin, brewers dried yeast, malt extract, Lupine. For dogs only. Not for human consumption. Keep out of the reach of children. Store in a cool, clean and dry place. Always choose the right size of chew for your dog.